Why TechSolutions - Wilmington, Newark, New Castle County | TechSolutions, Inc. 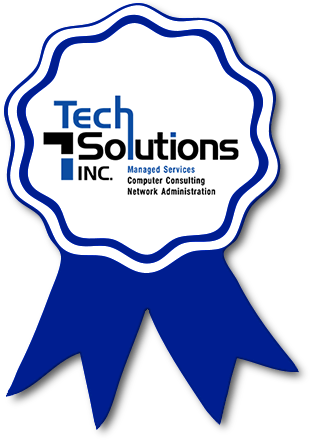 Simply put … TechSolutions is the easiest IT Services Firm that you will ever work with! The IT world is more complex than ever. Experts in hardware, software, networking, data security must collaborate for things to work right. And, we still need contracts and invoices to run a business. Despite all of that, working with an IT company does not need to be difficult. TechSolutions is just easier to work with than other IT vendors. We work hard to do the basics right. We prevent problems before they happen, we respond when called, we speak to business owners and office managers in business terms as opposed to computer jargon, and our contracts and invoices are easy and clear. Because of these things, we efficiently keep your team productive and your data secure. 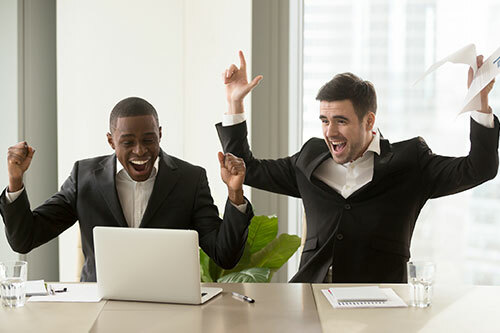 Both founders of the company began his career as an IT expert, and each one strives to excel at fundamental business ideals, goals, and objectives. They understand what our service technicians are doing for your computer systems and how to explain it to you so that a business person can understand. We have an experienced staff who live to help people with their computer problems. We currently manage over 2500 computers in the region, and we care about and understand that every one of those end users depend on his or her computer daily. Finally, TechSolutions has the most advanced, sophisticated set of tools, processes, and documented best practices in the region. We are very good at what we do. TechSolutions promises to be the easiest IT firm with which you have ever worked. And to prove it, we make 7 promises to every client that we stand behind. We call it our Seven Point “Easy to Work With” Pledge. Please read our pledge ... then ask yourself if you’d rather work with this kind of IT firm over any other IT firm in the region. We think you will love this approach and select TechSolutions to be your partner in IT. We keep it simple, we are good at what we do, and we care about your business.